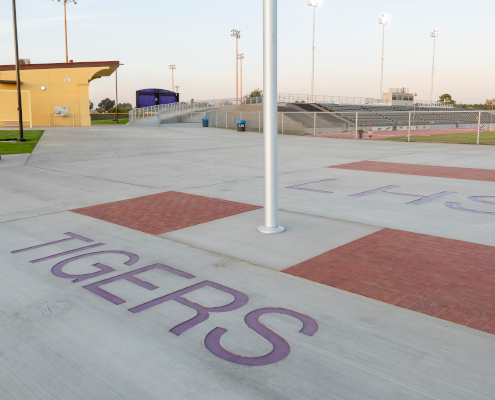 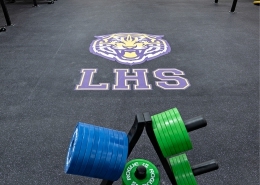 The Lemoore Tigers are enjoying their sports in a renovated stadium that feels brand new. 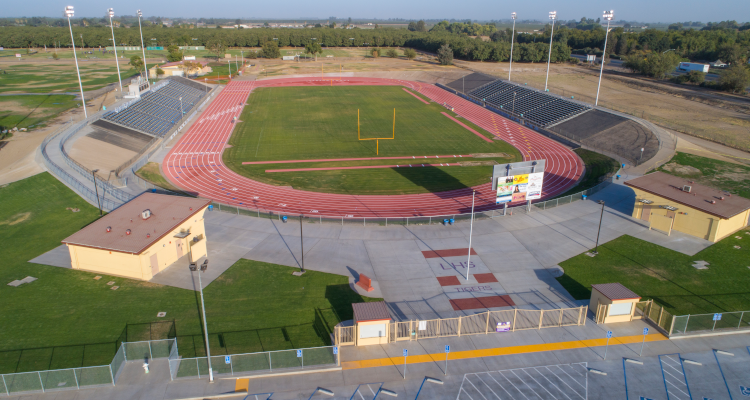 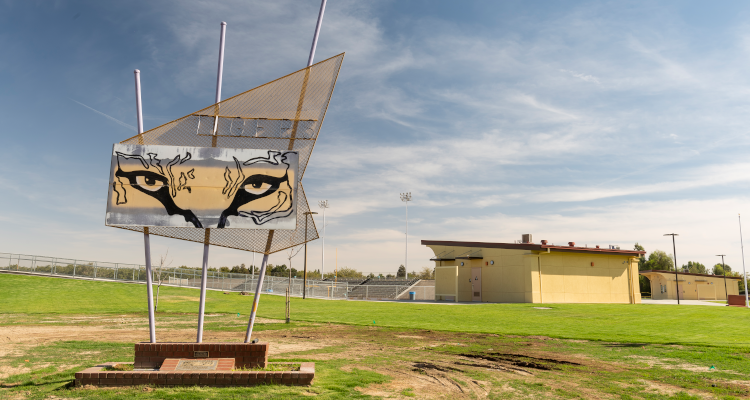 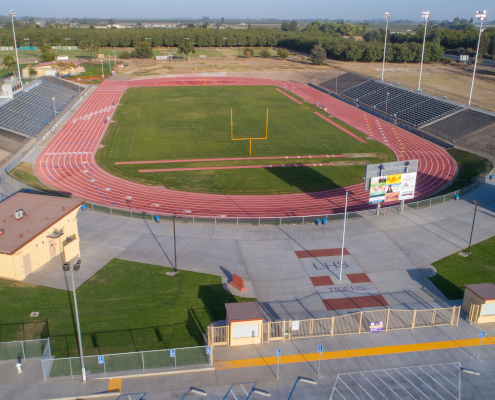 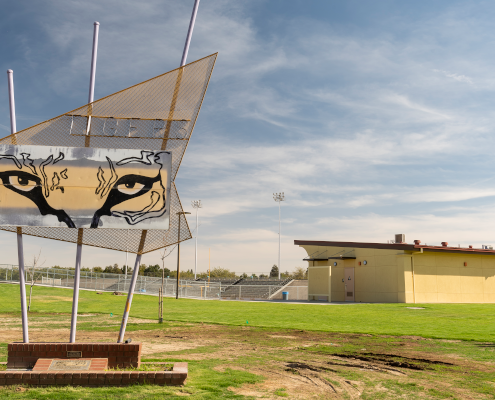 TETER’s stadium-design experience and quarter-century of work at Lemoore Union HS help them keep what is good and replace what wasn’t. 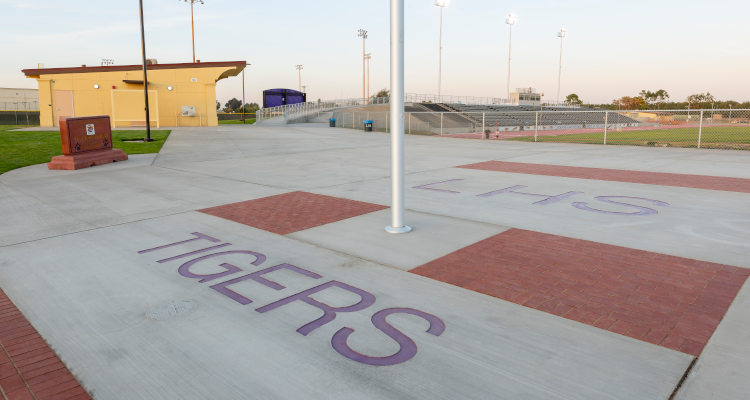 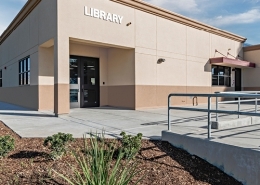 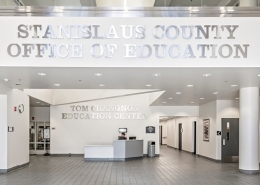 By doing so, this allowed the district to reduce costs and stay on schedule. 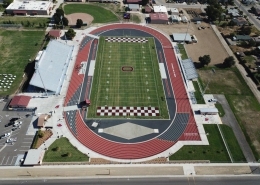 Not one home football game was missed due to construction. 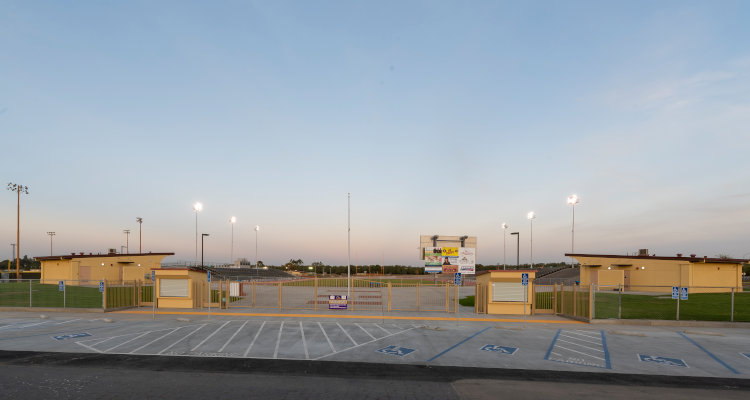 Concession/restroom buildings for both home and visiting teams frame the large entrance plaza, which is filled to capacity on game days with clubs selling goods and teenagers enjoying the game. 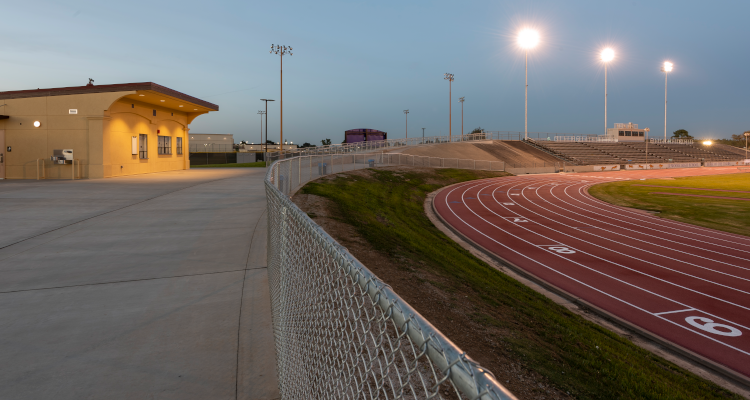 A new accessible path to the press box and accessible seating at the top of the bleachers make games available to everyone in the community. 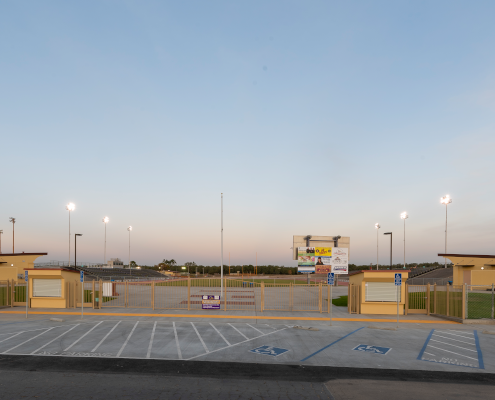 The press box modernization includes team rooms for Tigers, visitors, press, and a dedicated camera area on the roof for recording the games. 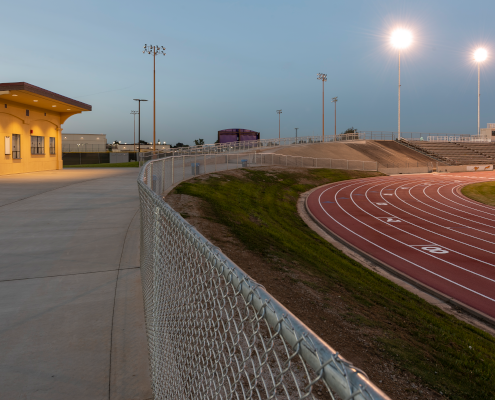 Outside the stadium, a concession/restroom building for other sports and weight room/team room building adds to the overall athletic facilities for both school and game days.